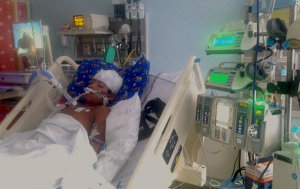 Julia Carmona Medel has a 9-year old son, Armando, who recently came out of a 3-week coma and is recovering from surgery after being treated for meningitis. In December of last year, while she was taking Armando to the hospital for an extremely high fever, she ran a yellow light and was pulled over by Gwinnett police, in Georgia. Although she was able to walk her son to the hospital that day, this stop brought Julia to the attention of ICE. She was charged with a misdemeanor for driving without a license, and ticketed almost $1,000. As she was getting fingerprinted after court in August, ICE agents came to take her into custody and put her in immigration detention. Julia has two other children, Adrian, 7 and Emmanuel, 14. Like Armando they are all U.S. citizens. She has lived in the U.S. for over 18 years, and has raised her family along with her husband in Georgia. She has been central to Armando’s healthcare, as well as the care of her other children as a stay-at-home mother. Right before Julia’s detention, Armando had surgery. Julia is devastated that she has not been able to see Armando recover from his surgery or provide the care he needs. Julia’s family and community are standing behind her and asking the Georgia Immigration and Customs Enforcement (ICE) office to release her, particularly now that her son Armando needs the support. However, ICE is using charges from 13 years ago – when Julia was a new mom – to justify keeping her in immigration detention and arguing for her deportation. In 2002 Julia was arrested for trying to take a pencil, foundation, a pack of M&Ms, and a red Christmas ribbon from Walmart, during a hard time for her family. While she was being processed for this misdemeanor charge, the police found documents she used for working and driving, which she did not have access to as an undocumented immigrant. For that she received two felony charges. Julia paid the necessary fines, and collaborated in every way asked of her. According to ICE these charges could make Julia be considered “priority for deportation.” However, ICE still has discretion to release her from detention and let her be reunited with her family. We are urging ICE to take into consideration that Julia’s charges are 13 years old and that she has paid the fines and penalties, that she has 3 U.S. citizen children that desperately need her support, in particular Armando during his recovery, and that she is in no way a threat to public safety, to use prosecutorial discretion to release Julia from detention and stop her deportation. Please sign below to tell the Georgia ICE Field Office to use their discretion to release Julia from detention and allow her to continue to take care of Armando and her other children, who desperately need her. I am writing regarding the case of Ms. Julia Carmona Medel (A 208-210-217), a Georgia mother of 3 U.S. citizens who was recently taken into custody by your office. I am writing to express my support for consideration of prosecutorial discretion in her case to release her from detention and reunite her with her family. Ms. Carmona Medel has a 9-year old son, Armando, that recently came out of a coma and is recovering from surgery after being treated for meningitis. She came to the attention of immigration enforcement after she was stopped by police on the way to the hospital with Armando and charged for driving without a license. I’m sure you can imagine how troublesome it is that she was arrested simply for not having a document that she does not qualify for, charged almost $1,000 dollars in fines, and then turned over to immigration without being able to make sure her son was getting the medical attention he needed. Ms. Carmona Medel has two other children, Adrian, 7 and Emmanuel, 14. Like Armando they are all U.S. citizens. She has lived in the U.S. for over 18 years, and has raised her family along with her husband in Georgia. She has been central to Armando’s healthcare, as well as the care of her other children as a stay-at-home mother. I am aware that Ms. Carmona Medel has charges from 13 years ago relating to using false documents. Although these are serious charges they are clearly related to Ms. Carmona Medel’s immigration status, and do not make her a threat to public safety or national security. I urge you to take into consideration the circumstances of these charges, as well as the need and suffering of her family. 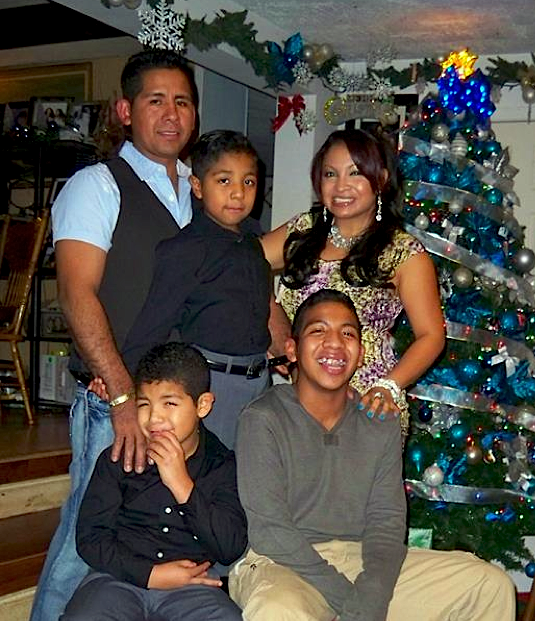 Please use prosecutorial discretion to stop Ms. Carmona Medel’s deportation and release her from detention.